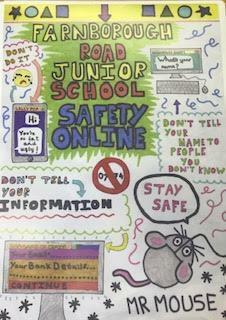 We had a competition to design a new online safety poster for display in school and for our school planners. The results were amazing and picking a winner was hard. Sofie in Y6 was judged to be the overall winner and her poster has now been displayed all round school and in every classroom. Thank you to everyone who took part in this activity. We have a special section on our website to help families with online safety. It can be found on the link below.